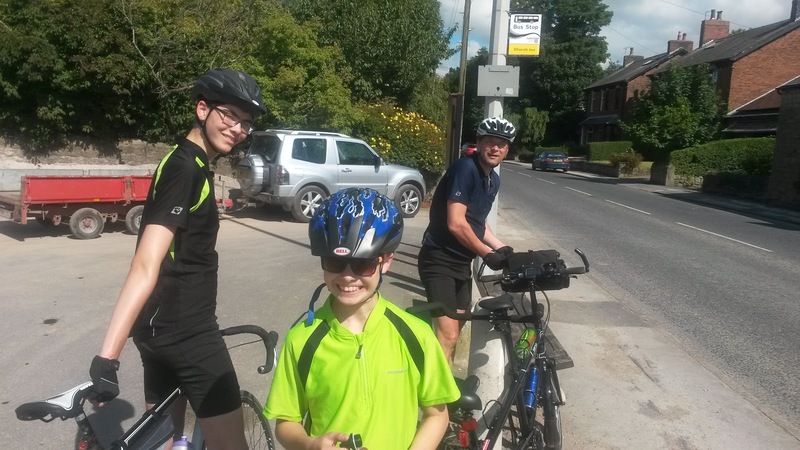 We have been off work this week and on Wednesday Mark decided that we would cycle to Lancaster. 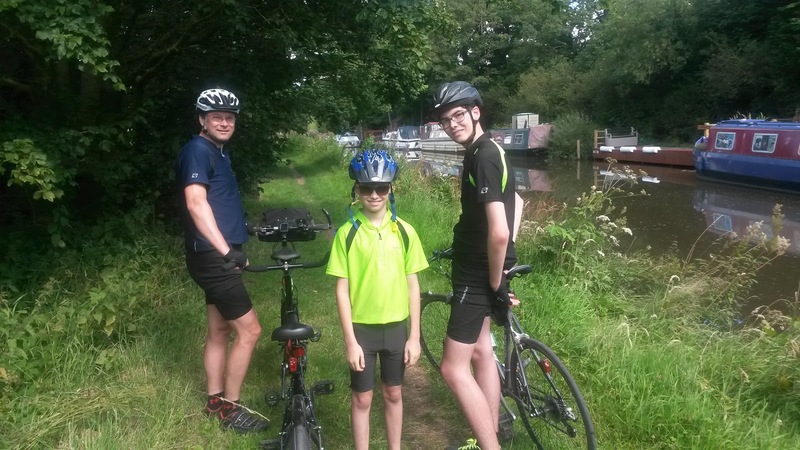 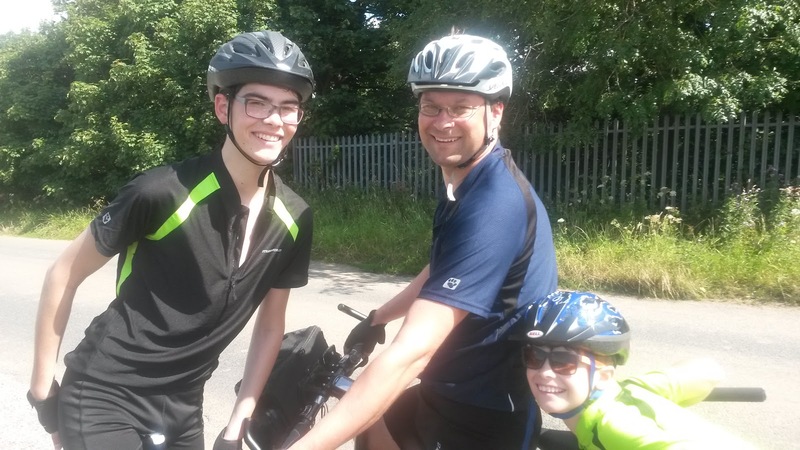 We chose a route that kept off the A6 for the majority of the ride and was a mixture of country roads and a stretch on the canal tow path which pleased Luke. As we knew it would be a long ride Luke went on the tandem with Mark to make it a little easier for him, although he can't get away with not pedalling at all! 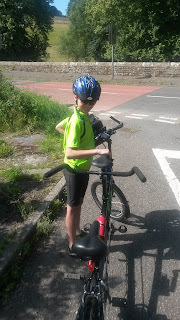 It was a lovely day and the sun was shining which always helps when you are cycling. 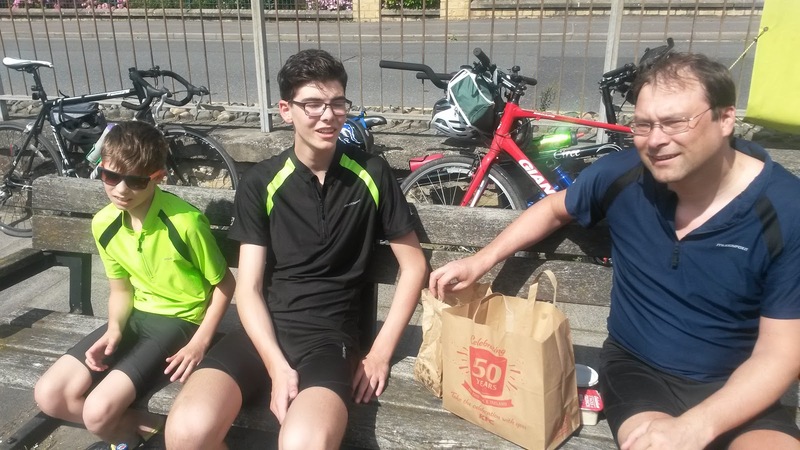 Rather than pack up sandwiches we decided to treat ourselves to KFC in Lancaster and we were certainly ready for lunch after cycling 25 miles. 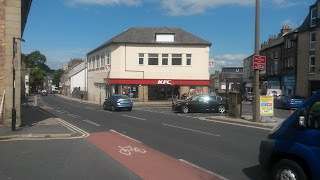 KFC didn't have any outside seating so we decided to eat our lunch at the side of the canal, there was plenty of benches and lots of people were enjoying the sunny weather. We had a really good ride although our legs were starting to get tired a few miles from home. 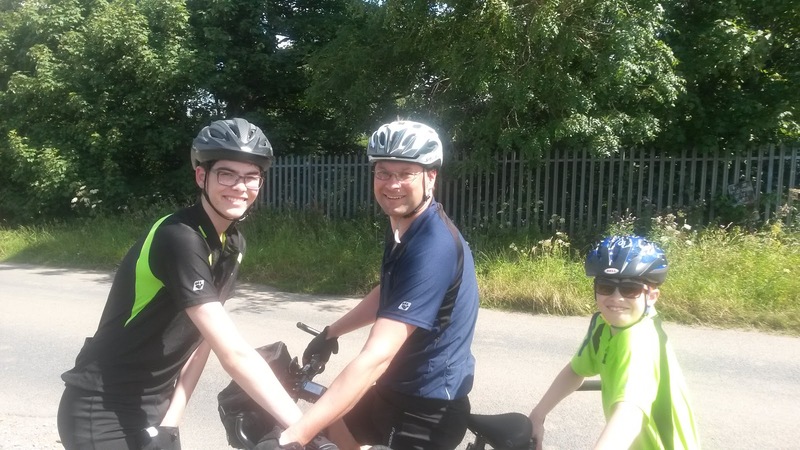 This was the longest ride we have done and quite an achievement for us all.